A famous blend with quite appreciated complex and fruity notes. Created by William Grant in 1898, the Blend Grant's have had a steady, genuine taste over five generations. Today, Brian Kinsman, Cellar Master's at Grant's blends more than 25 of the most refined malt and grain whiskies to produce the exceptional Grant's Family Reserve. The original distillation process at low temperature develops a light and delicate whisky, married with more pronounced fruity and sweet aromas when ageing in oak casks. Raisins notes gracefully join subtle cocoa and caramel accents, giving its harmonious and sweet texture. Grant's is the third spirit brand in France. 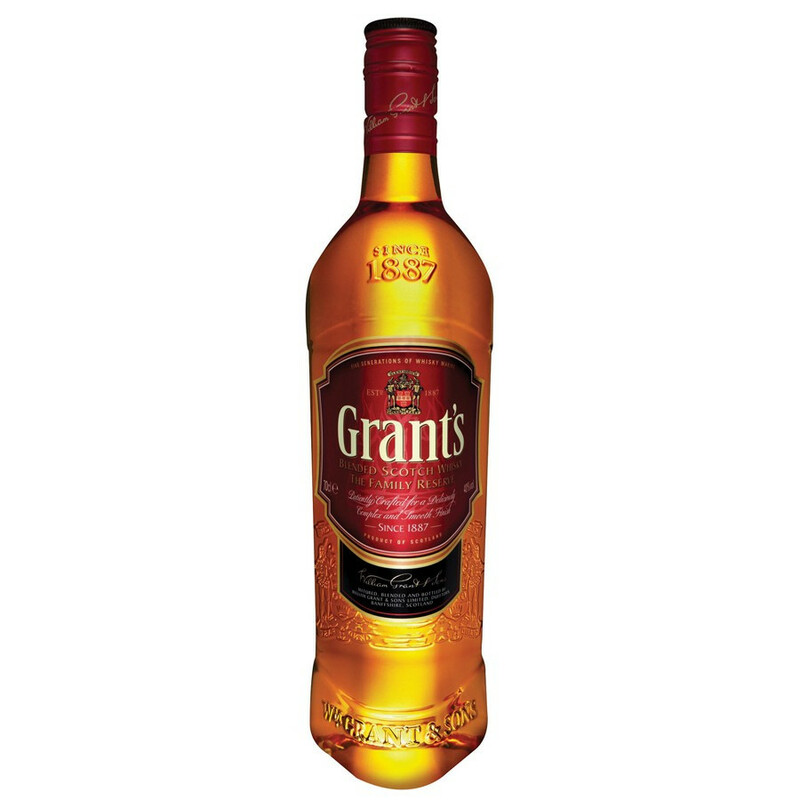 It's in 1887 that Grant's whisky was created by William Grant. A unique know how of the Grant family, this whisky is a blend of whisky grains and Single Malts. Brian Kinsman "master blender" at Girvan distillery when Grant's is assembled, is in charge of Grant's Family Reserve and respects a 5 generation know how. Today, Grant's is the third scothc whisky brand worldwide and in France. Nose: complex, with notes of ripe pears and summer fruits. Palate: a perfect balance between the sweetness of vanilla and malted, floral aromas. Finish: of satisfactory length and sweet, with a ever so slight faint of peat and smoke.